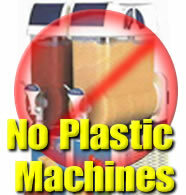 Reserve a Margarita Machine Today! MR. MARGARITA has been in the MARGARITA MACHINE RENTALS business since 1998, founded in Houston Texas by a man who realized there was a really unique market and demand for a margarita machine rental service. He also knew along with providing quality margarita machines and flavorsome mixes that customer service was the most important factor for Mr. Margarita's success. Our machines freeze fast, and stay cold and are easy to use. We will show up, set-up and pick up and clean the machine. If you are running low on mix, call, and we will bring you more!